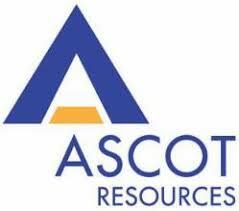 Ascot Resources Ltd (TSX-V: AOT) (OTCQX: AOTVF) is pleased to announce an updated resource estimate for its flagship Premier Project (including the formerly separate Premier, Dilworth and Silver Coin properties) in British Columbia’s Golden Triangle. The resource includes high-grade zones from the Premier and Northern Lights, Big Missouri (including North Star, Province and Unicorn), Martha Ellen, Dilworth and Silver Coin areas (see Figure 1). The outlines of these zones were modeled with a potential high-grade underground scenario in mind. John Kiernan, P. Eng., Chief Operating Officer of the Company is the Company’s Qualified Person as defined by National Instrument 43-101 and has reviewed and approved the technical contents of this news release.